The World Wide Web was "still a gleam in Tim Berners-Lee's eye" when Martin Sorrell formed WPP Group, but it profoundly changed the network's shape. To mark 25 years of the Web, he explains what he would do differently if he could turn back time. When we started WPP in 1985, the Web was still a gleam in Tim Berners-Lee's eye, and as recently as a dozen years ago, our digital turnover was little more than a rounding error. Today, the revenues we earn from the Web-related aspects of our business are more than a third of the total – that’s more than $6 billion out of $18 billion per annum. While it is certainly true that we did not see a lot of this coming, it is also true that we made the Web a key plank of our strategy (along with new markets, data-investment management, and horizontality). Our approach was often reduced to a shorthand of "clicks and BRICs" or even "China and the Internet." 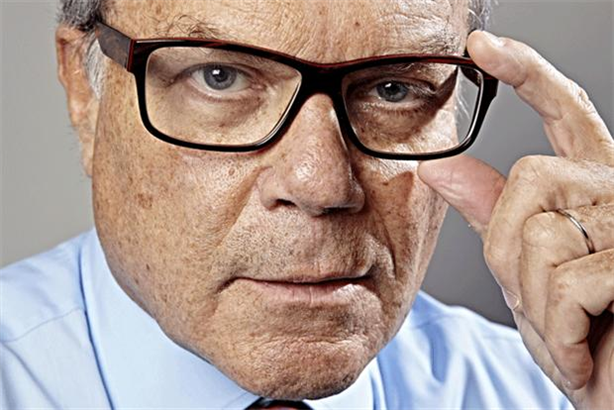 So the Web has changed WPP just as profoundly as it’s changed everything else. Digital and interactive marketing, programmatic buying, and big data now account for about $14 billion of our $18 billion of revenues, and Don Draper certainly wouldn’t recognize three-quarters of what we do today. Many predicted that the Internet would disintermediate advertising and marketing services businesses, but for us, at least, it has created more value than it has destroyed. Google and Amazon, for example, are formidable competitors, but today’s is a complex world in which technology giants are partners and clients, as well as threats. Many years ago, we started calling Google a "frenemy." Now we invest more than $2.5 billion of clients’ money with Google, and, while not everyone agrees with me, I see it as a friendlier frenemy these days. I absolutely have no regrets about the impact of the Web on our industry. Though others might regret the volume of emails they receive from me! The only thing I would change is to be able to go back in time and focus our business even earlier and more intensively on this revolutionary application of technology. I would rather have half of our business in digital, as opposed to the current 35%. Consumers already spend a third of their media time online, and that is only going to increase. This story originally appeared on the website of Marketing.